Looking for a sweet treat to prepare this Easter? 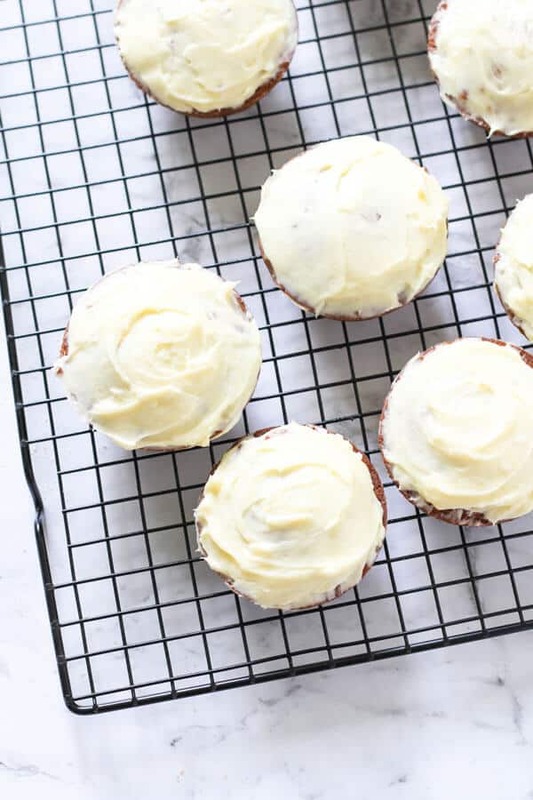 Try these Easy Carrot Cupcakes with Cream Cheese Frosting. Made completely from scratch, these cupcakes are soft, fluffy and perfectly moist. Is it even Easter without a carrot cake recipe of some description? I can’t count the number of carrot cakes, carrot cupcakes or even carrot cake flavoured donuts / milkshakes / pancakes I’ve seen pop up on my Pinterest or Facebook feed over the past month. My only question is – who started this trend? Why is Easter the season of carrot cake related recipes? A few google searches proved fruitless, so I turned to Instagram for help. Turns out everyone over there is as clueless as I am on the matter. The best we could come up with was the bunny / carrot link. I’m assuming that’s it. But we all agreed carrot cake is delicious no matter what the occasion, so let me just roll with it and present to you my Easter carrot cake contribution – Carrot Cupcakes with Cream Cheese Frosting. I’m the first to admit that I’m a novice baker. I enjoy the baking process, but it’s not something that comes as intuitively to me as other kitchen related pursuits. Naturally that’s why this isn’t a baking blog. BUT it does mean that when I put up a baking related recipe, you better believe it’s a great one for all skill types. 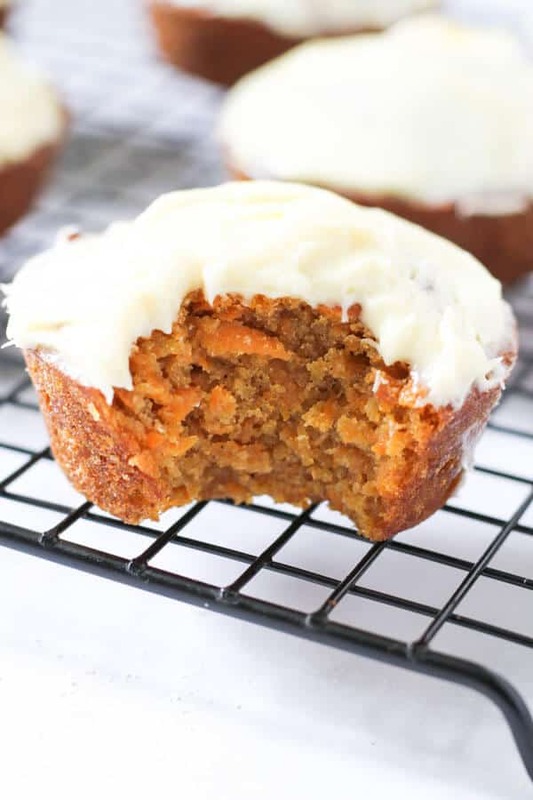 These carrot cupcakes are just that. If you’re a OK baker like me, who grew up on box cake mixes and doesn’t own a piping bag – never fear. THESE are the carrot cupcakes for you. I nail them every time without fail, and I’m yet to give them to someone without a request for the recipe. Not bad for an OK baker. The cupcakes themselves are super moist, thanks to the freshly grated carrot. They’re also perfectly spiced for full flavour without going overboard. The cream cheese frosting is rich and creamy with just the right amount of tang to balance out the sweetness. I just slather on the frosting with a knife because I’m an animal who doesn’t have time or patience for pretty icing. C’mon – I can’t be the only one! But if you’re wanting to pipe on the frosting, I’ll point you towards this great resource AND encourage you to double the frosting recipe – you’ll need a bit more to get that lovely layered effect. They’re easy to prepare – I’m not a natural baker, and these ALWAYS turn out perfectly. They’re soft, fluffy and perfectly moist – I know, I hate that word too but it’s an apt description for baked goods. They’re made with REAL sugar – *gasp* I know we all love a healthier recipe, but some things really call for the real deal – no substitutions. This is one of them – trust me, you’ll love it. 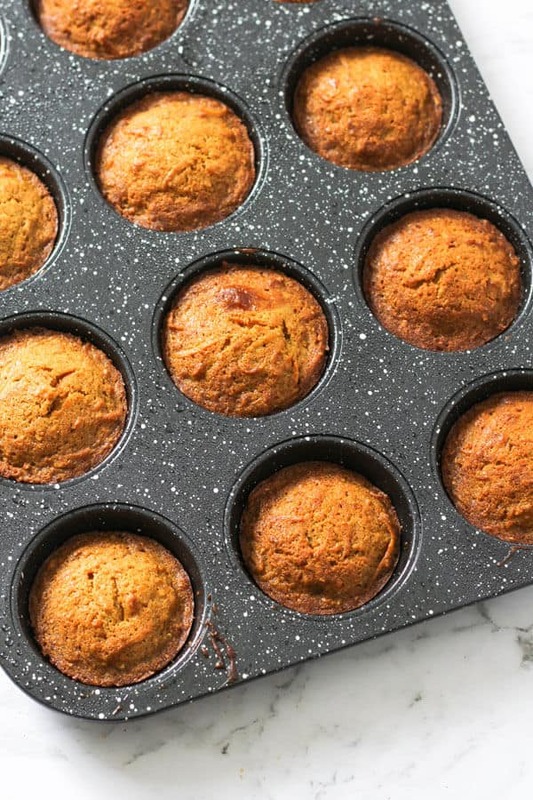 They’re ready in 45 minutes – and most of that time is waiting for the cupcakes to cool. I know that pre-packaged back of grated carrots in the store looks tempting BUT put it down. You NEED freshly grated carrots for this recipe. They are more moist and flavourful, and no one wants dry and drab cupcakes. 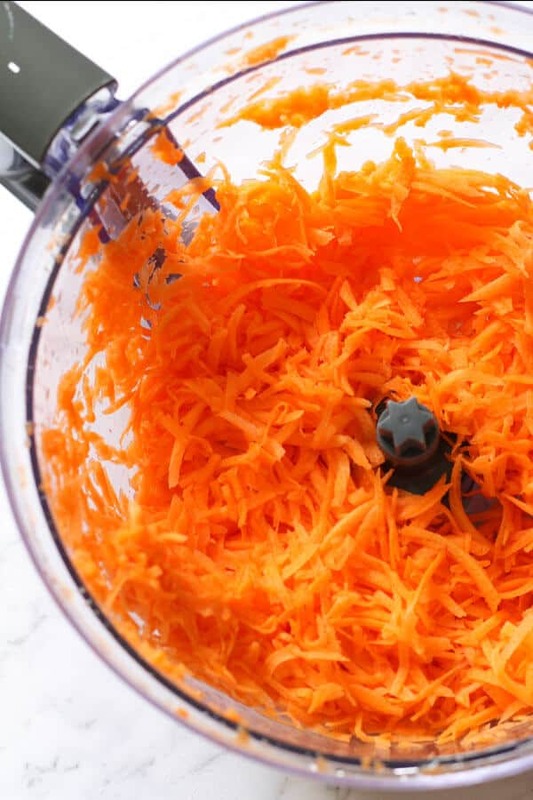 The easiest and best way to grate carrots for baking into cakes is to use the grate attachment on a food processor. Hand peel the skin, chop the ends then place the whole carrots in the food processor. Once you’ve finished just sift through and take out any large sticks that didn’t fully grate down. This happens to me all the time, and I usually end up with 3 or 4 sticks which I then eat myself with a little hummus. Mid-baking sustenance is a serious thing. If you don’t have a food processor, you can also grate the carrots by hand. It’ll take a little longer and your guns will be on fire, but really that’s just an added bonus workout. Combine flour, sugar, cinnamon, nutmeg, baking soda, baking powder and salt in a mixing bowl (photo 1). Combine grated carrot, vanilla and oil in another mixing bowl (photo 2). Slowly add the dry mixture to the wet mixture, stirring until just combined. Add beaten eggs and again stir until just combined – be careful not to overmix (photo 3). Grease 12 cup muffin tray & fill each cup 2/3 of the way full (photo 4). Bake for 15 minutes, or until a skewer comes out clean and the cupcakes are golden brown. Allow to cool completely before icing! Beat the butter, cream cheese and vanilla in a bowl with a hand mixer until smooth. Add sugar in gradually, beating until smooth. Use either a piping bag or knife and spread icing evenly on top of the cupcakes. 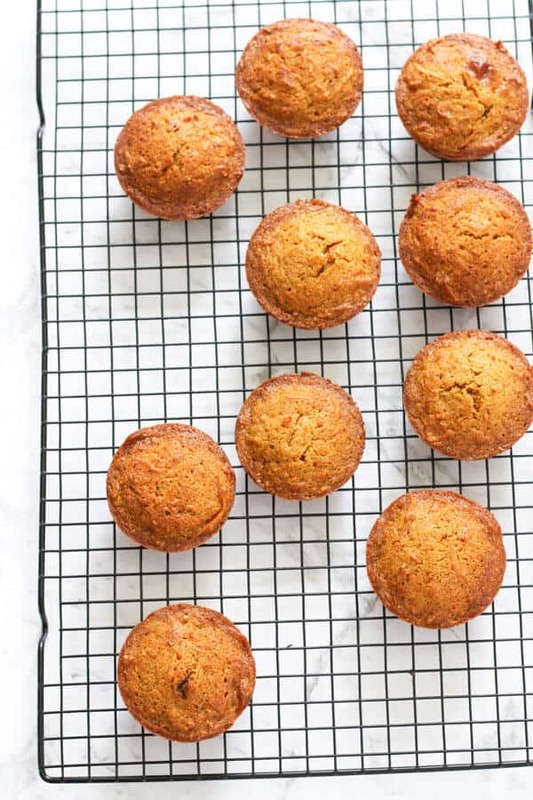 Got leftover carrot cupcakes? Pop them in an airtight container in the fridge for 3-4 days. When you are ready to eat, leave the cupcake on the bench for 10 minutes to take the chill out of it. Be sure to grate fresh carrots for this recipe. Freshly grated carrots are more moist and flavourful than a bag of store bought grated carrots. Use the grater setting on your food processor to grate your carrots. Remove any large pieces before adding them to the mixture. Don’t have a food processor? Just grate by hand. Although the recipe doesn’t call for them, feel free to add some chopped walnuts or raisins to the batter if that sounds good to you. You could also sprinkle chopped walnuts on the icing for a stylish finish. Every oven is different – be sure to keep an eye on the cupcakes as they cook. Make sure your cream cheese and butter are at room temperature before making the frosting. This will help them cream together easily and give you a smooth frosting that’s perfect for spreading. If you are wanting to pipe the frosting on your cupcakes OR just simply love an extra thick frosting – double the frosting ingredients. Store any leftovers in an airtight container in the fridge for 3-4 days. When you are ready to eat, leave the cupcake on the bench for 10 minutes to take the chill out of it. 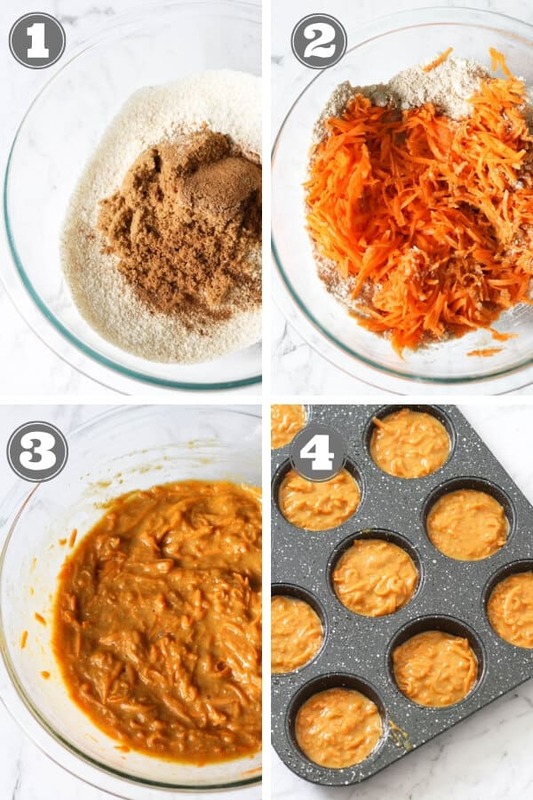 If you’ve tried these Carrot Cupcakes I’d love to hear how you enjoyed them! Pop a comment and a star rating below! You can also FOLLOW ME on FACEBOOK, INSTAGRAM and PINTEREST to keep up to date with more delicious recipes. 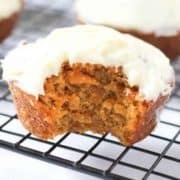 Absolutely irresistible and easy to prepare Carrot Cupcakes with Cream Cheese Frosting. Made completely from scratch, these cupcakes are soft, fluffy and perfectly moist. Combine flour, sugar, cinnamon, nutmeg, baking soda, baking powder and salt in a mixing bowl. Use the grater setting on your food processor to grate your carrots. Remove any large pieces before adding them to the mixture. Don't have a food processor? Just grate by hand. Although the recipe doesn't call for them, feel free to add some chopped walnuts or raisins to the batter if that sounds good to you. You could also sprinkle chopped walnuts on the icing for a stylish finish. Every oven is different - be sure to keep an eye on the cupcakes as they cook. Make sure your cream cheese and butter are at room temperature before making the frosting. This will help them cream together easily and give you a smooth frosting that's perfect for spreading. If you are wanting to pipe the frosting on your cupcakes OR just simply love an extra thick frosting - double the frosting ingredients. Nutrition information was estimated with a nutrition calculated based on one cupcake with frosting.